Jessica’s forever bed is in a beautiful woodland burial site. As the surroundings are all very natural, there are quite strict restrictions about memorials and what can be placed at grave sites. We can leave cut flowers on her grave as long as there is no wrapping on them and we are allowed to have a single wooden vase for flowers. I always bring fresh flowers with me when I visit her. Some of them are firm favourites with the deer that live in the woodland and disappear quite quickly. I am beginning to learn which ones will be eaten and which will be left! Some of the trees around the site are known as ‘snowdrop trees’. These are areas reserved for babies and young children up to the age of five. 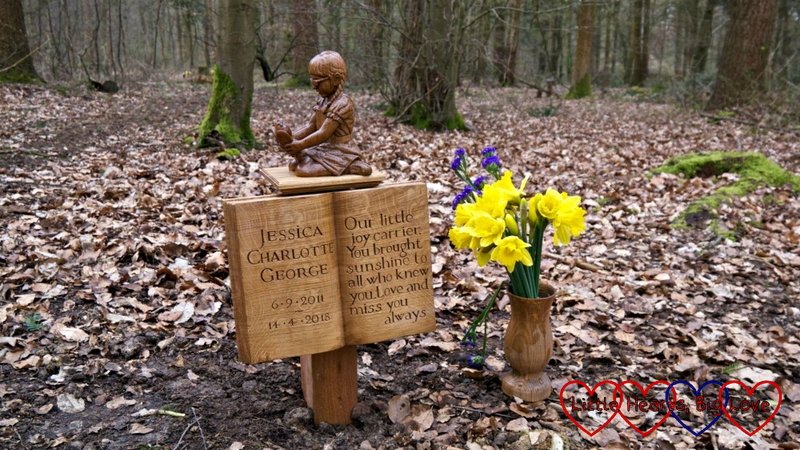 As Jessica was six when she died, she was laid to rest in an adult area. There is a snowdrop tree very close to her tree though. One of the children laid to rest there is another little heart warrior whose journey I followed a few years ago. 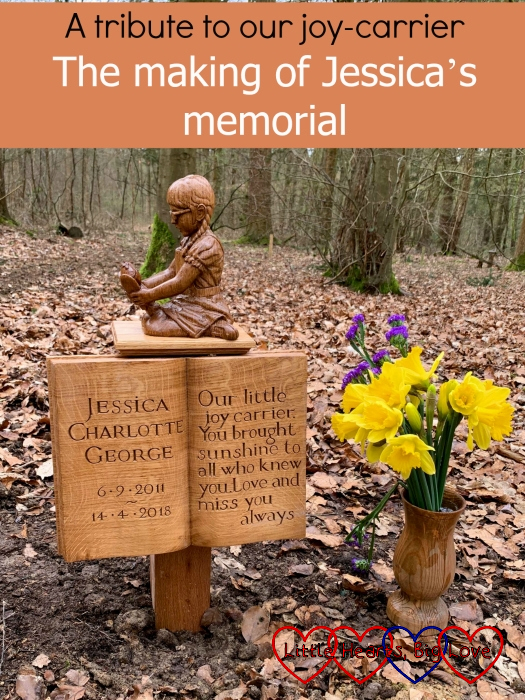 When we first visited GreenAcres, we spent time looking at the memorials around the snowdrop trees, and one of these memorials was the inspiration for Jessica’s memorial. 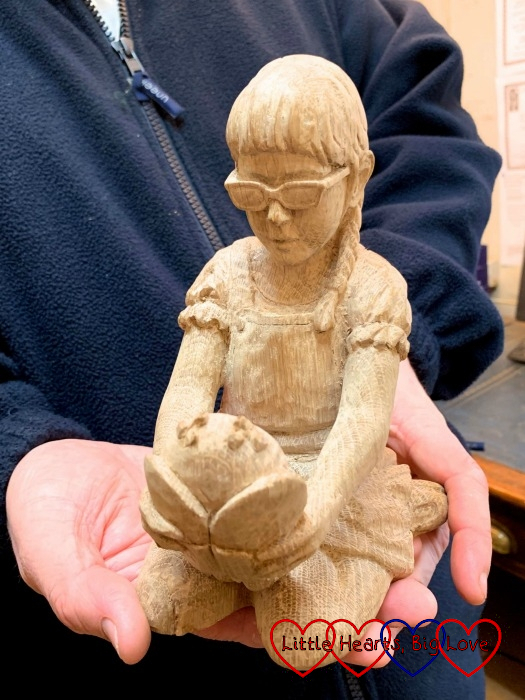 It is a carving of a fairy holding a teddy bear, sitting on top of a book. We thought that something similar with Jessica holding her favourite doll Kerry would be a fitting memorial for Jessica. 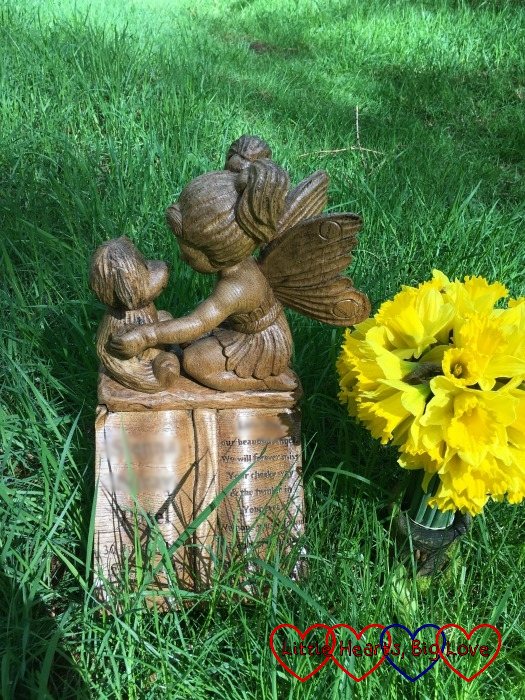 The guidelines for memorials are that they need to be within the dimensions set by the Woodland Supervisor with no metal work as this could corrode. We were also told that the wood used for the memorial could be treated with natural oils but not painted or varnished. 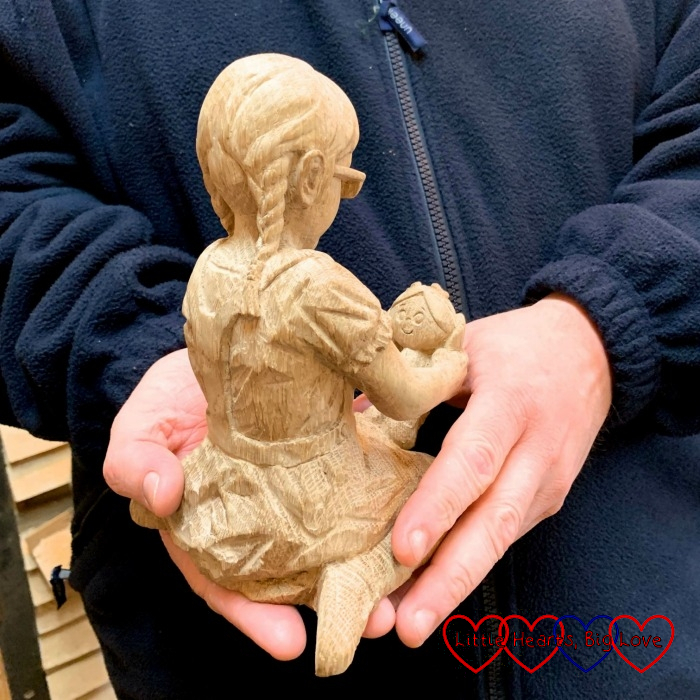 Lillyfee Woodcarving Studio was one that was recommended to us by the team at GreenAcres. 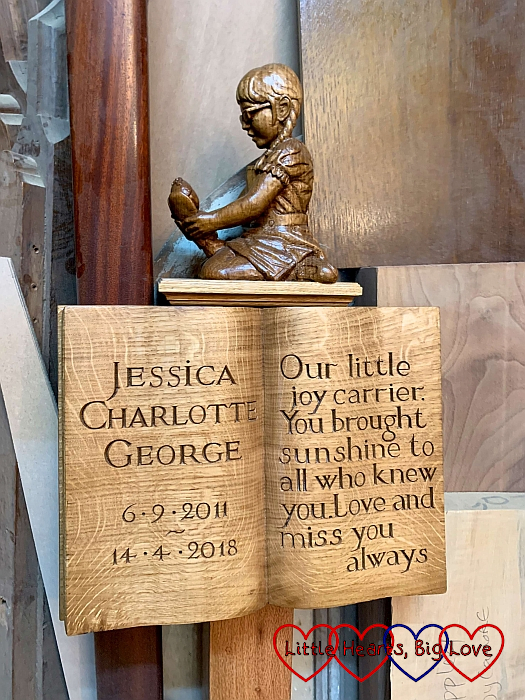 As they are based in the local area, we were able to visit the studio several times during the making of Jessica’s memorial and discuss the design with Colin, the master woodcarver there. We started off with my doodle to give an idea of what we were looking for. We also provided some photos of Jessica and the memorial that had inspired us. 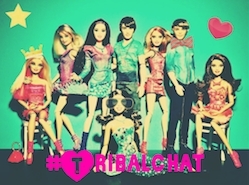 Jessica’s original Kerry doll is with her, but we still have ‘Kerry 2’ and ‘Kerry 3’ for Sophie and Thomas. Kerry 2 rides on Sophie’s scooter to school each day, so it was Kerry 3 who became the model for the carving. 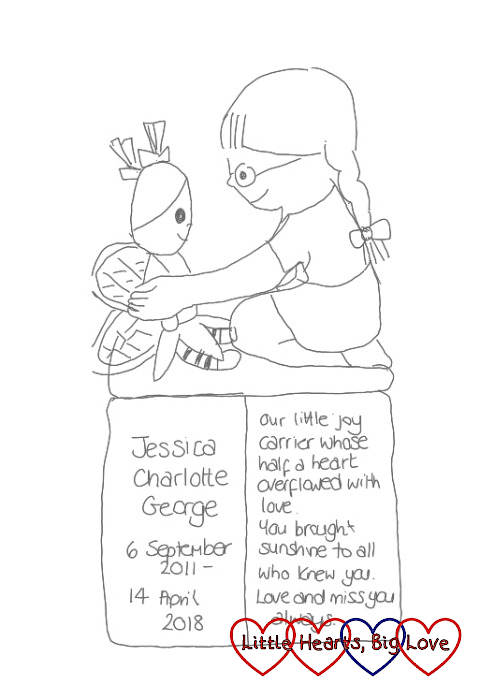 The design for Jessica’s memorial was then drawn up by Lillyfee. We decided, after discussion, to reduce the wording slightly. Once we’d approved the design, work began on the carving itself. We provided the team with lots of photos of Jessica taken from different angles. When we next visited the studio, the carving of Jessica and Kerry was completed, ready to be treated with oils. That first look at the finished version was quite emotional. 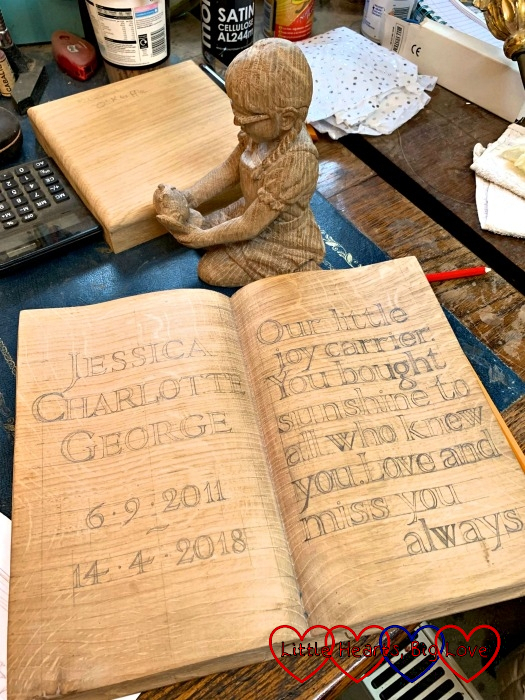 To see hubby holding Jessica and Kerry in his hands – the way that the carving had captured her so beautifully. The level of detail was incredible. 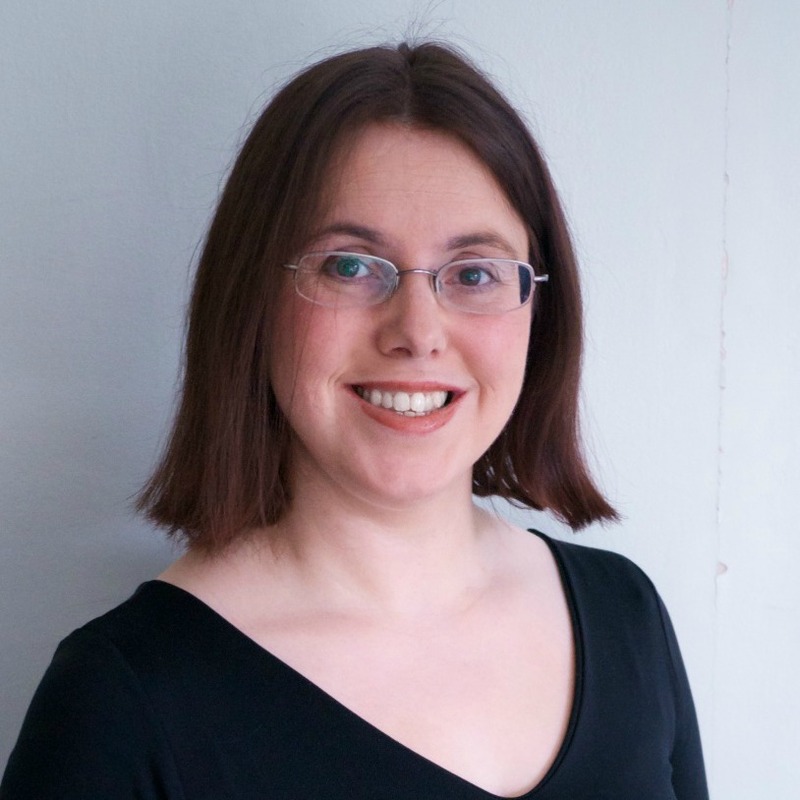 Jessica’s facial features; her little plaits – one forward, one backward as was so often the case. Her little outfit right down to her little shoes. I remembered her playing in the garden, wearing that exact outfit. Those little shoes are still in our living room, just where she left them after she wore them for the last time. Even the way she sat – it was so Jessica. And even her little Kerry, who was more proportional in size to Jessica than she had been in the original sketches, was just right. It was so very Jessica, and it was so very beautiful. 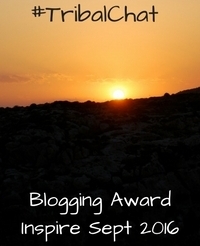 The next step was to carve the wording in the book. This had been drawn on ready for us to approve. 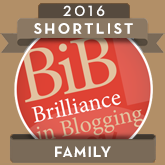 There were a couple of minor changes, but otherwise we were happy with it. A few weeks later, we were back at the studio to pick up the finished memorial. 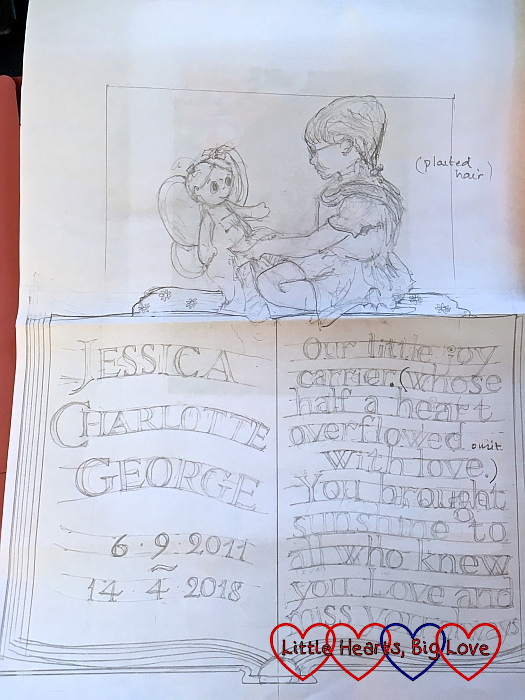 Another emotional moment – seeing those words carved there below the beautiful sculpture of our little Jessica and her Kerry. It was such a perfect tribute to her. We had to purchase a permit for the memorial and arrange a date for it to be installed at GreenAcres. It seemed best to do this while my mum was staying with us so that she and hubby’s parents could be there with us when it was ‘planted’. The team at GreenAcres were very respectful and sensitive. They asked if we wanted to carry Jessica’s memorial to her forever bed. We didn’t, so one of their team carried it ahead of us. At Jessica’s forever bed, we were able to ‘plant’ the memorial in the ground ourselves. It felt a little strange, but so much nicer to have her memorial there after being used to seeing just a wooden post with her name on for so long. It was another very emotional moment for us all. Jessica’s memorial is so very beautiful. I wish we didn’t have to have something like this for her though. But this is our reality, and as our beautiful girl can no longer be with us, it is a little comforting to feel like we can look at her when we visit; stroke her hair, kiss the top of her head and tell her how very much we love and miss her. 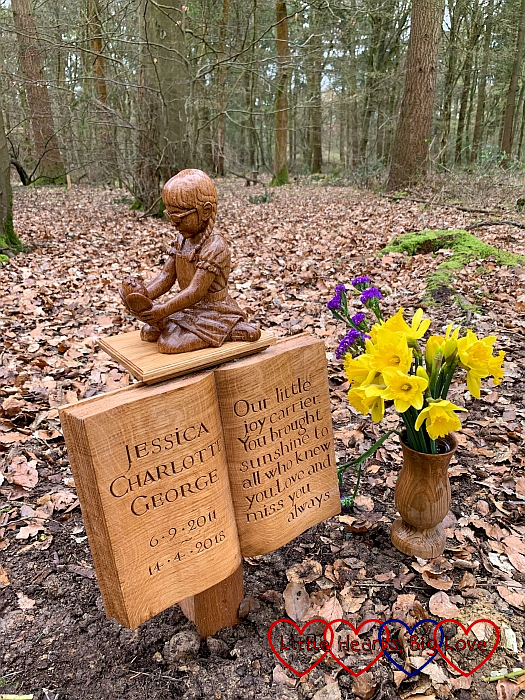 Thank you so much to the team at Lillyfee for creating such a beautiful memorial to our little girl and for your amazing skills which captured her so very well. It is such a beautiful memorial Louise, I’m so glad the carvers captured Jessica so perfectly. 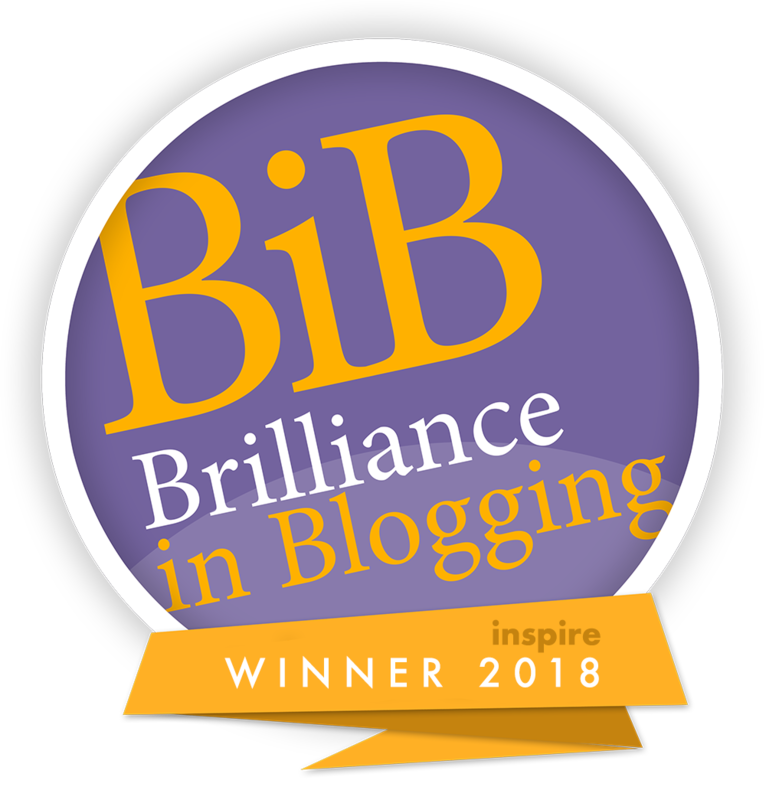 It is a sign of what an incredible writer you are that this post had me feeling every emotion. So sad for your loss of Jessica, pleased for you that the memorial is so wonderful but I also had a little chuckle at Kerry 1, 2 and 3. We have only one of each of the girls’ favourite toys and no idea where to get another from. The thought of losing one of the toys fills me with horror! It’s lovely that Sophie and Thomas have Kerry 2 and Kerry 3 now. This really is such a beautiful memorial to Jessica. It is perfect. That care and attention to detail really did come across. Thank you so much for creating something so very special and capturing Jessica so beautifully through it. Reading this in a cafe and I’ve got tears streaming down my face. It’s such a beautiful memorial for the most beautiful little girl. The skill and craftsmanship that went into making the sculpture, it’s amazing. I think about her always.